Black Friday and Cyber Monday are done – WHEW right? Not so fast. The next wave of shopping is underway. We have the (data-backed) strategies to take your Native campaigns to the next level – and help those holiday shoppers! Black Friday and Cyber Monday are behind us, but the once one-day-only shopping affair has turned into Cyber Week if not Cyber Month. For many, holiday shopping may just be beginning, and they’re looking around to find that extra-special something for their loved ones. If your Black Friday campaigns were broader-reaching, now is the time for targeted, personalized content to inspire last minute (or, rather, very patient!) holiday shoppers. For reference, the 2018 shopping season is off to a good start. Cyber Monday 2K18 surged to new highs: $7.9 billion was spent online that day, an increase of 19.3 percent from a year ago (Adobe Analytics via CNBC) and U.S. holiday retail sales are expected to surpass $1 trillion for the first time this year (CNBC). Native video ads are quickly becoming the #trending ad type, offering dazzling visuals and immediate, quality content for viewers to engage with. According to Promo, 70% of people said they visit the publisher’s website after watching a video. And based on Bidtellect’s own Native Report, In-Feed Click-to-Play Video grew 143% from 2017 to 2018, pointing to a more proactive, engaged viewer. 2/3 of users said that say online video has given them ideas and inspiration for their purchases. Plus, Native video ads are usually better received by the users because they don’t “feel” like advertisements, and hence don’t disrupt their experience (Entrepreneur.com). Consider: Adding video to your campaigns. Pssst have you seen all the different kinds of video solutions we have? If we haven’t said it enough, we’ll say it again: Mobile. Is. The. Move. Since Mary Meeker identified a $25 billion mobile ad spending opportunity in her Internet Trends Report and marketers are catching up. 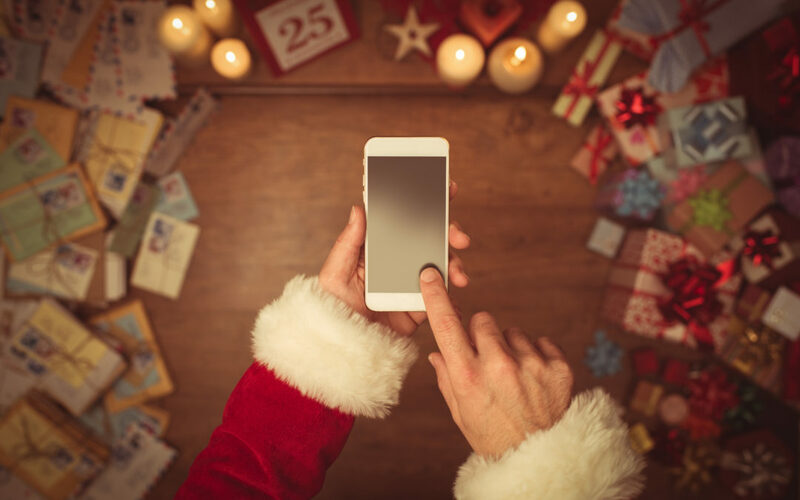 If Black Friday is an indicator of how the rest of the shopping season will continue, consider that $2.1 billion in sales came from smartphones on Black Friday 2018 (TechCrunch) and more than half of shoppers’ visits to retailers’ websites Cyber Monday 2018 came from smartphones (Adobe Analytics via CNBC). It was also the year of new app downloads – as retailers sharpened their mobile app ease-of-use, consumers followed: new shopping app installs grew 9 percent over last year to reach 1.8 million. Saturday, December 23 was the second highest shopping day of the year in 2017 (eMarketer) – last minute shoppers unite! It’s not too late to up your campaigns or target or create inspirational content accordingly. For instance, last year 5 out of 10 of buyers on PC also purchase on mobile (Teads) indicating a unified, multichannel approach is key. Consider: Targeting, offering personalized content to inspire that perfect gift and an integrated (multi-channel) approach. Did you know that Bidtellect offers dynamic creative optimization for Native? Yes, put your brand out there with content-driven native ads, but remember to offer your consumers something of value they can’t refuse! This means using the headlines, descriptions, and the image or video itself should be offer-driven – think: an exclusive deal (promo codes included! ), a brand new style, a perfect gift for your mom with high-quality, alluring visual imagery in line with your brand’s story. Don’t lose steam just yet! Once the holidays are over, consumers are ready to spend their gift cards, exchange gifts, and capitalize on post-holiday sales. 46% of consumers are expected to shop after Christmas in store or online and in 2017, shoppers with a gift card overspent by $38. In fact, the Saturday after Christmas is the ninth busiest shopping day of the year, and the day after Christmas is the fourth busiest shopping day! Consider: Running holiday campaigns well into January; creating post-holiday shopping campaigns. All this to say: don’t slow down. Shoppers will continue shopping if you offer them the special something they are looking for! Cheers! And remember…if you need a little help send a note our way.